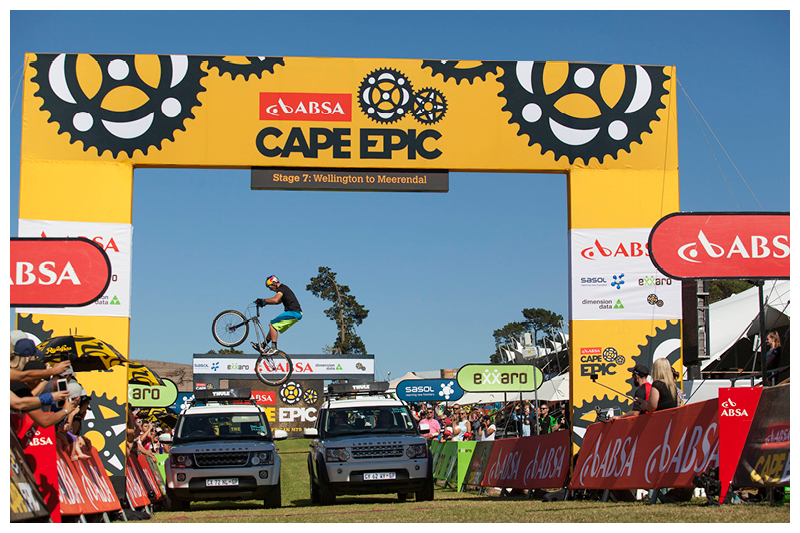 I feel really privileged to have been a part of the Absa Cape Epic media team. 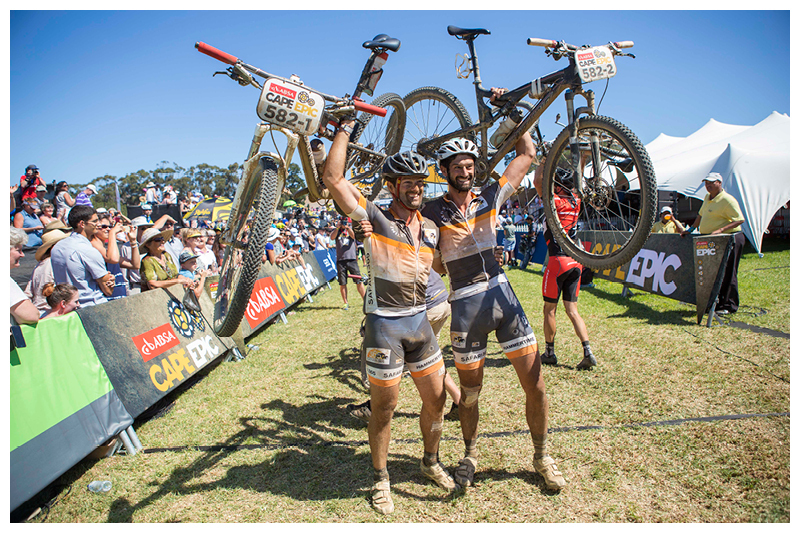 The Cape Epic is known throughout the world as the Tour de France of mountain bike races and over the 8 days I spent photographing the race, I began to understand why. It truly is a spectacular race - not just the mind-blowing scenery and incredible riding, but also the sheer scale of the race and the logistics that go into making it all run smoothly. I am definitely not an expert sport photographer, although I do enjoy photographing more alternative mountain sports like rock climbing, abseiling and hiking. It was very humbling to work alongside some of the top mountain biking photographers in the world and learn from them. Sometimes it's really good to be way outside of one's comfort zone. 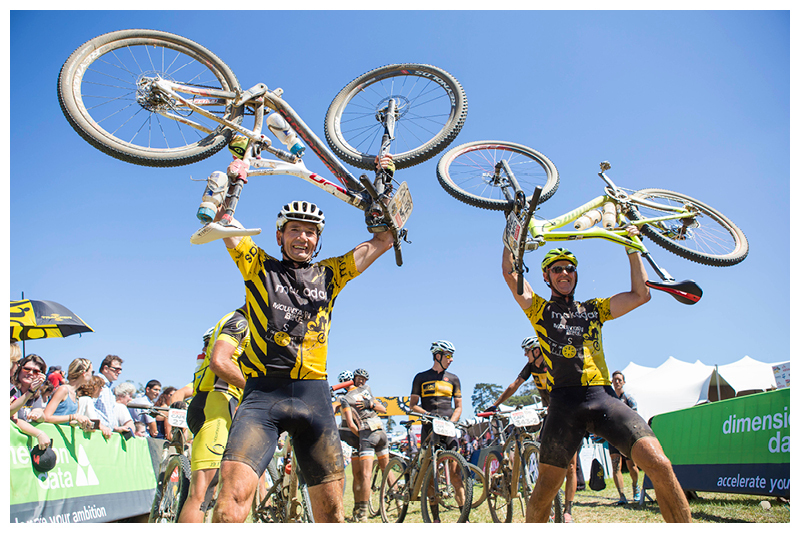 Although the action photography was a little tricky, the Cape Epic is really still about the people riding, and whatever the setting, photographing people is what I love to do! I loved capturing moments of pure emotions, and believe me, 10 hours and 120km in a saddle will bring out some very raw emotions. I have compiled a few of my favourite shots which summarise the race and the atmosphere around the race village over the 8 days of the Absa Cape Epic. I have grouped the photos in three sections; The Race, The Finish Line, and The Race Village. The race started with a prologue at UCT and around Table Mountain, and then moved from Elgin to Worchester to Wellington to Merendal, near Durbanville, for the finale. Each day began with a start gun and racers set off. There were spectator points and water points along the way where cyclists could refuel and fix their bikes. The finish line was the place where all the action and emotion happened. From victorious winners sprinting over the line to bedraggled, exhausted riders struggling to make it back before the 10 hour cut off. The top riders head straight into the media area and are interviewed by the press before cleaning up for the award ceremony. After most of the riders cross the finish line, they head straight into the Woolworths tent for a damp facecloth, a meal and a chance to sit, or lie, down after a long day in the saddle. At the Merendal Grand Finale, the crowds come out to watch the riders come in one last time and there are all sorts of exciting displays like trick riders and parachutes. So where do all these riders sleep, eat, shower, do their laundry, relax and service their bikes? Good question. The race village, where all of this happens, is one of the most amazing parts of the Epic. Here are some snapshots of what life is like when the riders aren't riding.